Electricity There are 87 products. Power your low-voltage experiments with the touch of a switch. 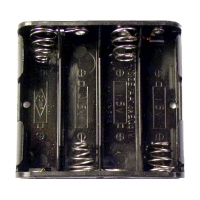 You can attach alligator clips or use banana plugs for added safety. With plastic housing. Battery Holder 4 Slot AA. 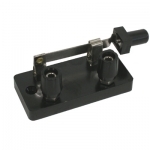 Our one-piece, 4-slot, AA battery holder contains both a black and a red 15 cm lead. 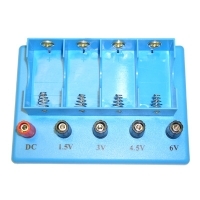 Because this plastic battery holder comes with three banana plug jacks, you can easily select DC, 1.5 volt and 3 volt power for your experiments. You need two D-cell batteries. 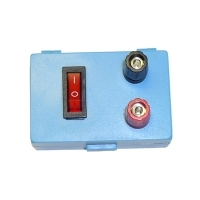 This battery holder provides DC, 1.5 volt, 3 volt, 4.5 volt and 6 volt power and has banana plugs for added safety. Needs 4 D-cell batteries. Saved by the bell! 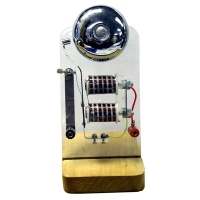 This device rings out when an electrical circuit is completed. 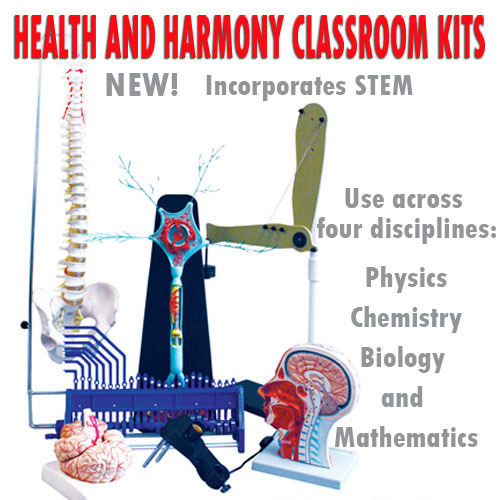 Includes: wood stand, banana plug jacks, adjustable hammer, and instructions. 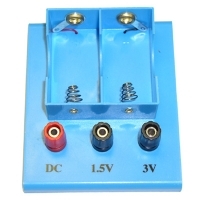 You need 615-4715 Hand Generator or 6 V power source such as 615-4065 Battery Kit. 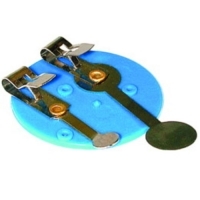 • These lab essentials feature a 45 mm diameter plastic base with two Fahnestock clips for connecting wires.• The switch pivots to complete the circuit, it can be used to build a doorbell. • Image may vary.